Im after some help in designing a sanctuary. Raiden requires a small area, consisting of basically a bedroom, study/library and general open area. 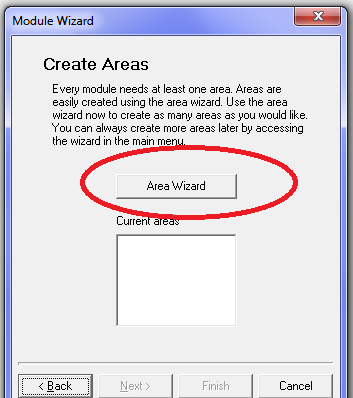 Use the module/area creation wizard to get started. Most of the screens are self-explanatory. The ones pictured below should point you to spots of importance. The best way to learn is to set aside a couple hours and just "tinker", exploring the different options, tilesets, etc. **IMPORTANT: The oval around the weird arrows at the bottom is to draw attention to those "movement" controls. They, combined with your middle-mouse button, will help you navigate the area, moving the camera and/or changing angles as needed. The scroll-wheel will zoom in and out, and click-and-hold of the mouse-wheel will allow you to freely change the angle of the camera. The arrows keys on the keyboard or the arrows buttons in the window will allow lateral movement. So, to make a character home, one starts with a completely new module? I kinda thought you had to make it as an area in the Player Building Module (Open Existing Area: Player Building Module), or else you wouldn't have all the Aenea haks in it. 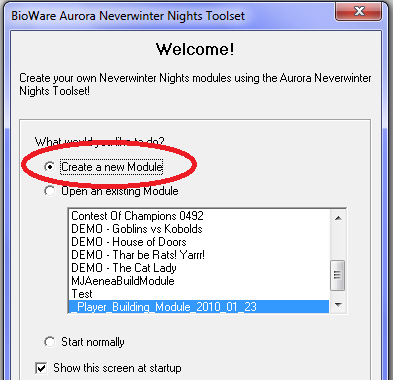 There are instructions for adding the aenea haks manually somewhere on the forums, cant remember where at the moment. 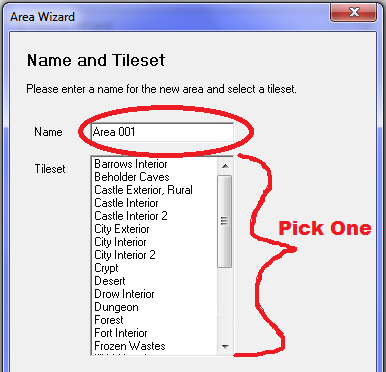 If you load the player build module, there should be a "new area wizard"
That should get you to the same spot where you select your tileset, and it should be the same from there on out. The Aenea player build module simply has the CEP and Aenea-specific haks pre-set on it. 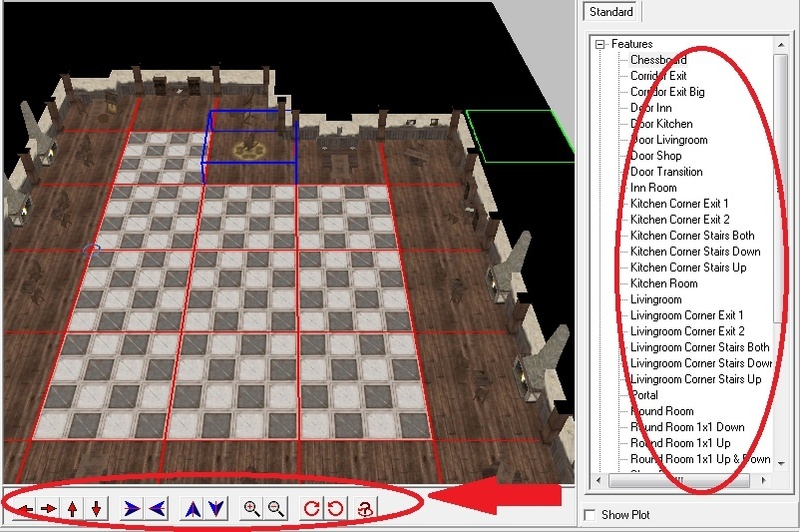 This means you can use all of the extra placeable appearances (and tilesets) for areas, and more appearance options for things like custom reward items. 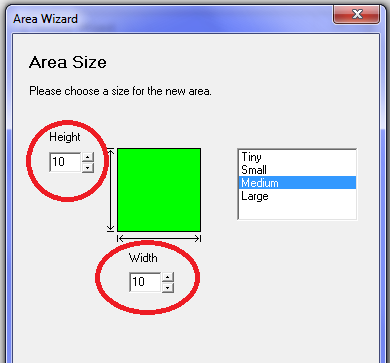 Making your area without it just means you will be using only default NWN art resources. BTW, I got your email, just haven't opened the attachment yet. I've been busy for a few days now with family and a minor NWN project (if you can call an obsessive compulsion to spend at least 8 hours just on graphics for 72 placeables minor). And doing a search in the forum for Player House, Player Building, or Player Module, will net you some more threads with nuggets of info.